Each year, the bestselling sporty 2-door cars in America are the American muscle cars – the Ford Mustang, the Chevrolet Camaro and the Dodge Challenger. 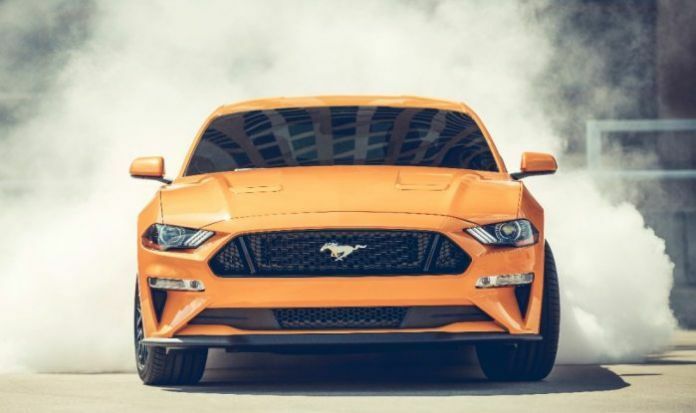 These three cars comfortably outsell all of the other sporty coupes sold in America each year, but we put together a list of the top 25 bestselling sporty 2-door models in the USA so that fans of muscle car alternatives can see where their favorite coupe finished in annual sales. Each month, we bring you a look at muscle car sales race in America and while there are plenty of other sporty 2-door cars sold in the USA, we only look at the numbers for the Ford Mustang, the Chevrolet and the Dodge Challenger. We focus on those three models because, frankly, the sales numbers for the other 2-door cars in America look terrible compared to the muscle car. For example, we used to include the Nissan 370Z with the muscle car sales discussions since it technically competes with the lower-performance versions of the Mustang, Camaro and Challenger, but the numbers were so terrible that there was no point in comparing it in a sales talk. However, we frequently receive questions about how other sporty 2-door cars sold in the US sell compared to the muscle cars, so to end each year, we do a comprehensive piece looking at the top 25 bestselling sporty 2-door cars in America. The difficulty with this type of piece is which cars to include and which cars to leave out. Some of the cars on our list can be disputed, such as the BMW 2-Series and 4-Series, both of which come in non-performance form. However, since all of these RWD Bimmers are designed to be fun to drive, we have included them on the list. On the other hand, we haven’t included the more economy-minded 2-door coupes, even if they are on the sporty side. This is why the Kia Forte Koup, the Honda Civic Coupe and the Honda Accord Coupe aren’t included, for example. We also don’t include vehicles that are offered as a coupe and sedan under the same nameplate (as many automakers don’t split those units out by bodystyle). Finally, high end brands like Lamborghini, Ferrari, Aston Martin, Jaguar and other European exotics aren’t included because they don’t offer detailed sales breakdowns. However, for those 2-door sporty models that meet our simple criteria, here are the top 25 bestsellers in the USA for 2017. Of course, the Ford Mustang (81,866), the Chevrolet Camaro (67,940) and the Dodge Challenger (64,537) lead this list, each outselling every other car on the list by a massive margin. The closest any car came to challenging the American muscle cars was the BMW 4-Series (39,634) in 4th place, but with this being a car with such a wide range of performance, this is one of the vehicles that some people might dispute. However, there is no disputing that the Chevrolet Corvette (25,079) belongs on the list and it sits 5th. The BMW 2-Series (11,737) is 6th on the list, followed by the Mazda Miata MX5 (11,294) in 7th and the Infiniti Q60 (10,751) is 8th. Like the BMW 2- and 4-Series, the Q60 has lower performance models, but it meets all of the other criteria, so it belongs on the list alongside the likes of those BMW models and the Lexus RC. The Porsche 911 (8,970) is 9th on the list and speaking of the Lexus RC, it finished 10th with 7,363 units sold last year. This next group has one of the most closely-related grouping of vehicles, with the Scion FRS-turned-Toyota 86 leading it off with 6,846 units sold. The Porsche Boxster and Cayman (5,087) combined for the 12th spot, the Nissan 370Z (4,614) was 13th, the Subaru BRZ (4,131) was 14th and the Mercedes-Bens SL-Class (2,940) finished 15th. While the prices of these cars vary greatly, they are all smaller, rear-drive performance models with a smaller engine (not a V8), so it is interesting that they have a similar level of popularity in the US market. The Mercedes-Benz SLC-Class (2,860) finished the year 16th in sales, the Audi TT (2,294) was 17th and the Mercedes-Benz AMG GT (1,608) was 18th, marking the last sporty 2-door to sell more than a thousand units in the US market in 2017. The Audi R8 (772) finished 19th and the ill-fated Dodge Viper (585) rounded out the top 20. The final 5 spots in our list of the top 25 bestselling sporty 2-door cars in America for 2017 consist of the Acura NSX (581) in 21st, the Nissan GTR (578) in 22nd, the BMW Z4 (502) in 23rd, the BMW i8 (488) in 24th and the Alfa Romeo 4C (407) in 25th. Notice that this grouping has the only dedicated electrified models on the list with the NSX and the i8. Finally, an honorable mention goes to the Ford GT supercar, which saw 89 units delivered in the US during 2017.